Zhao Lizhi, Secretary of the CPC Committee and General Manager of China National Machinery Industry International Co., Ltd (SINOMACHINT) and Zhang Fusheng, Former Chairman of Board of Directors of SINOMACHINT met the delegation of the Commerce Bureau of Jinan led by Li Zijun, deputy mayor of the Jinan Municipal People's Government on December 21. The two sides conducted in-depth exchanges and signed a strategic cooperation framework agreement. Building on the principles of "complementary advantages, market operation, and win-win cooperation," the two sides jointly signed the “Strategic Cooperation Framework Agreement between Jinan Municipal People's Government and China National Machinery Industry International Co., Ltd” after discussion and consultation. 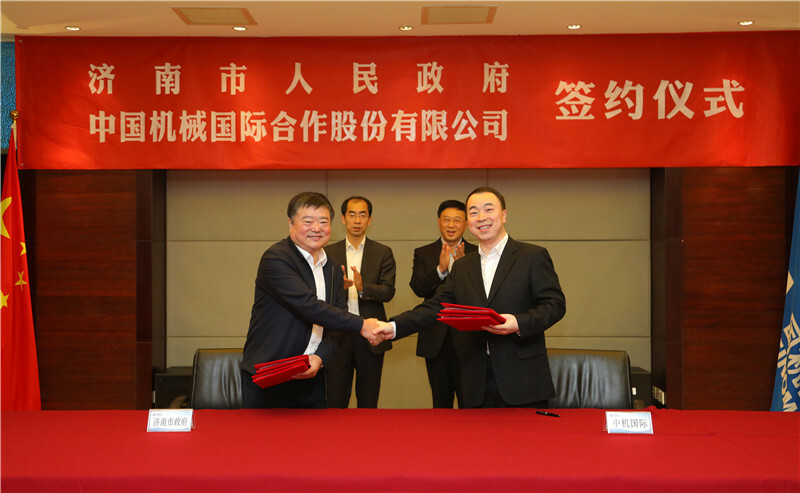 The purpose of the Agreement is to maximize SINOMACHINT’s scale and advantages in business exhibitions, and jointly promote the rapid economic development of the exhibition industry in Jinan. 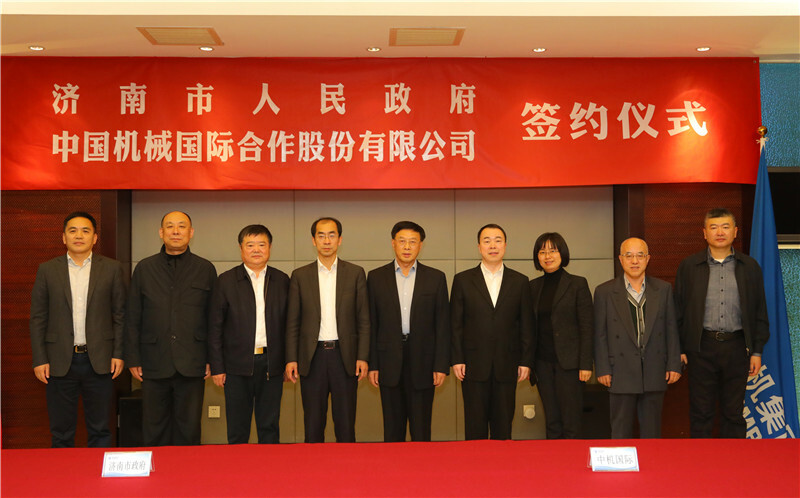 Qiu Ke, Deputy Director of the Jinan Municipal Bureau of Commerce, Cheng Yongshun, SINOMACHINT Deputy General Manager, Wang Duyang, SINOMACHINT Senior Managing Director and the heads of relevant departments attended the signing ceremony.